BMW will unveil a new EV at the Frankfurt auto show that will slot above the i3 hatchback, shown. MUNICH -- BMW Group will offer 25 electrified vehicles, including 12 EVs, by 2025 as it prepares to unveil a new four-door zero-emissions model at the Frankfurt auto show, the automaker said in a statement. "By 2025, we will offer 25 electrified vehicles -- 12 will be fully-electric," CEO Harald Krueger told journalists at an event in Munich, adding that electric cars will have a range of up to 700 kilometres. The Frankfurt show, which starts next week, will be used to unveil a new four-door electric car positioned between the i3 city car and the i8 plug-in hybrid sports car, Krueger said. The four-door model, a low-slung sedan, was kept under wraps as BMW showed journalists around its Munich design headquarters on Thursday. It is set to go on sale by 2021. BMW declined to specify its name. "We will be increasing the share of electrified models across all brands and model series. And, yes, that also includes the Rolls-Royce brand and BMW M vehicles," Krueger said. 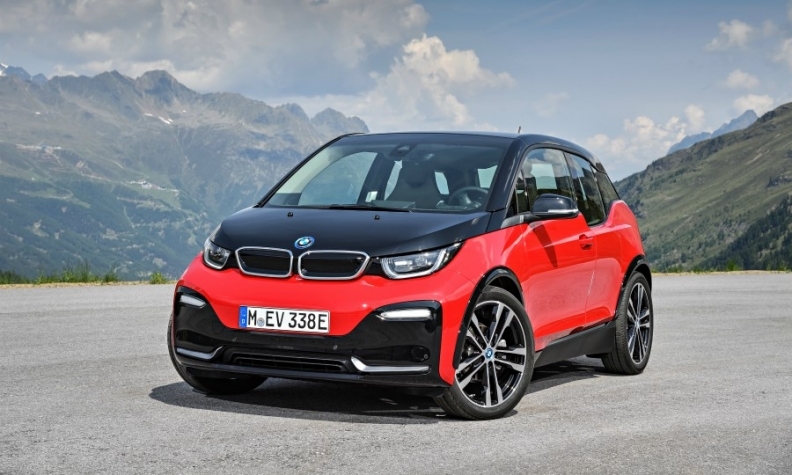 BMW is investing in its factories to enable all of its models to be equipped with all variants of powertrain by 2020, including fully electric variants, should demand for zero-emission vehicles take off. BMW plans to unveil an electric Mini at the Frankfurt show, which will go on sale in 2019. The first electric version of a BMW core brand model, the X3 SUV, will follow in 2020, Krueger said. In future, all EVs from the BMW brand will belong to the i subbrand, he said. Bloomberg and Automotive News Europe contributed to this report.